This doesn't mean your dog and cat don't need their shots. Rabies still lives in racoon, bat, and other night time critters. However according to CDC officials, rabies has been eliminated in the United States dog population. "The elimination of canine rabies in the United States represents one of the major public health success stories in the last 50 years," stated Charles Rupprecht, chief of the CDC Rabies Program. Rabies in humans accounts for at least 55,000 deaths annually around the world -- at a rate of nearly one every 10 minutes. US canine-rabies elimination was achieved through mandatory dog vaccination and licensing and aggressive stray dog control. "Our public health infrastructure, including our quarantine stations, local animal control programs, veterinarians, and clinicians all play a vital role in preserving the canine-rabies-free status in the US," Rupprecht said. "This is the first step in a long-term effort toward human rabies prevention and animal rabies control globally." "We remain optimistic that this official declaration of canine-rabies free status in the United States could be replicated throughout the Western Hemisphere and elsewhere," Rupprecht said. "Rabies is ever-present in wildlife and can be transmitted to dogs or other pets. We need to stay vigilant." 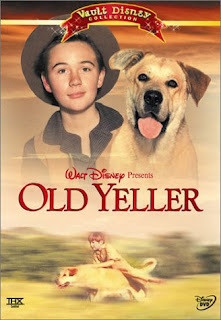 I saw Old Yeller with my kids not too long ago. It didn't have the same devastating impact on me as it did when I was a kid. I mean, I still can't watch Bambi. So I wanted to be there to make sure my daughters were okay. Silly me. Our children are not us. What others movies don't work now that rabies in dogs is gone? Small pox is gone world wide. Malaria is gone from the developed world. People used to die from tetanus, from scurvy, from -- no kidding -- an infected tooth. Women died in childbirth ALL THE TIME fifty years ago. Not that it can't happen now, but it's rare in the developed countries. Why did families have such large families 100 years ago? Sure, lack of birth control and an unforgiving religious structure (*waves to Utah*) but also, to make certain enough children lived to adulthood to keep the family unit intact. Most families lost one or two children in childhood either at birth or to childhood diseases. Polio was normal when I was a child; iron lungs. All this in two generations. Okay, three. Coming up, cures (genetic and otherwise) for: heart disease, cancer, HIV, mental illness, even cataracts and near/far sightedness. On the horizon: the ability to think more clearly, to control your mood, setting your own metabolic level (weight and exercise). And more. People say this is the age of technology. Technology makes much possible. But medicine, the biological sciences are one of the crowning achievements of the last 100 years: the age of biology. 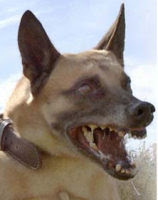 Dogs without rabies. How cool is that?